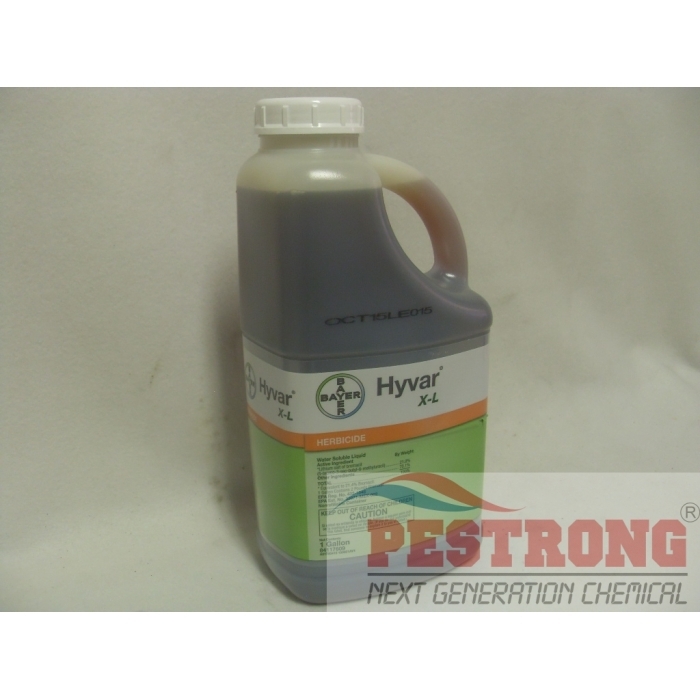 Where to Buy Hyvar X-L Herbicide, Dupont Hyvar X-L Herbicide - Gal - $113.95 for Sale with Fast Free Shipping! Dupont Hyvar X-L Herbicide - Gal provides residual control of many key annual, perennial and brush species on non-crop sites, including wild oats, dandelion and winged elm. Dupont Hyvar X-L Herbicide - Gal provides residual control of many key annual, perennial and brush species on non-crop sites, including wild oats, dandelion and winged elm. It is especially good for perennial grass control. Hyvar X-L is made specifically for non-crop areas such as utility, industrial, fence rows, railroads, highway rights-of-way, petroleum tank farms, lumber yards and farm storage areas. It’s available as a water-soluble liquid that is mixed in water and applied as a spray for bareground and basal (spot) treatment applications. Rate : 0.75 ~ 6 gallons per acre (most case). See Label for details. DuPont Hyvar brand belongs to the bayer brand now. Hyvar herbicide for my farm. One of the best herbicides I've used. This is my go-to herbicide. Awesome product that controls many weeds and grasses. It does the job really good for me. Have been using it for many years. Always check the label for exact rates. Thanks for the help on my phone order. I found hyvar at here.